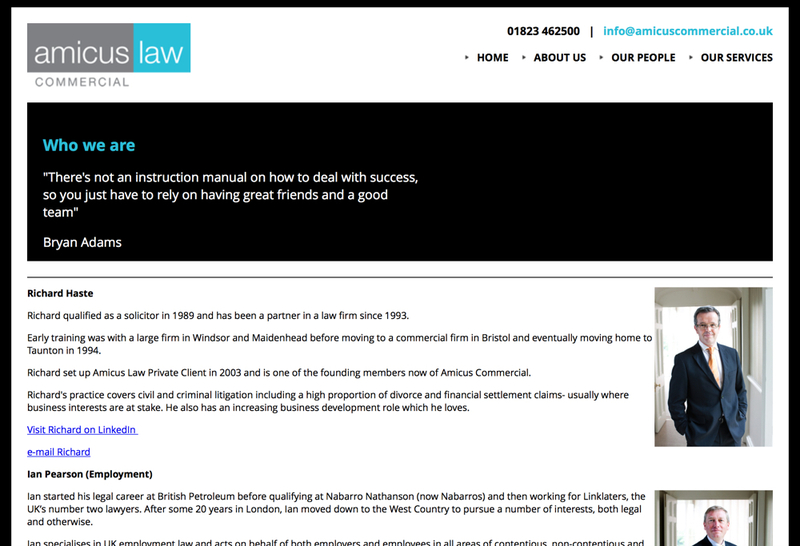 Amicus Law Commercial faced a situation, typical of so many UK law firms striving to grow and retain profitable clients. The generic offers of legal services are at best predictable but at worst creating a collective invisibility of each firm attempting to attract interest and enquiries. Law firms generally focus on growing revenue, but often miss the vital ingredient of profitability, which is the lifeblood of a business seeking to sustainably grow and reinvest its resources. And lawyers themselves, as busy as anyone in business and not necessarily in tune with the need for transparency, proactivity and the need for their involvement in marketing communications, fail to get involved in the business development of their firm despite their remit of fee generation. 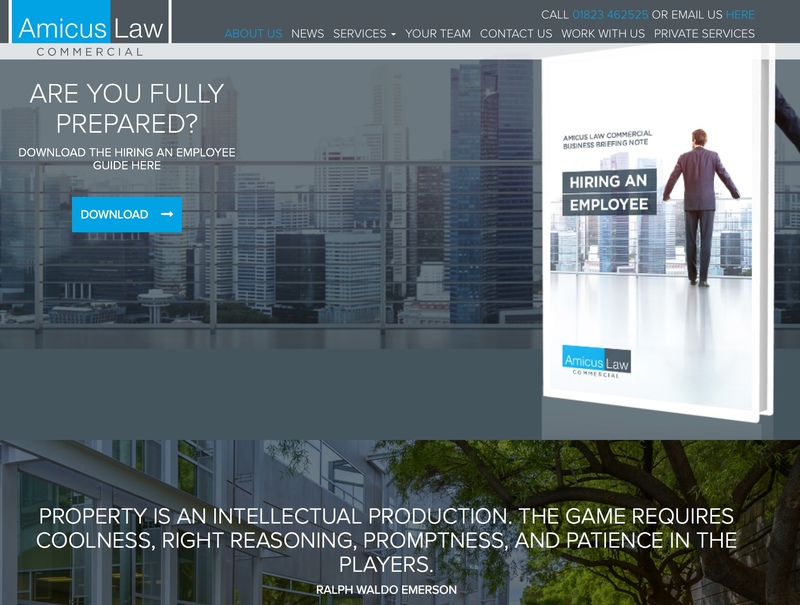 Amicus Law Commercial is a great example of a firm with strong growth ambition and an authentic desire to serve clients, but a need for strategic clarity and actionable plans to deliver these goals. Viper Marketing stepped in (in association with Azur Design) to conduct a strategic planning day with the partners and lawyers and thus began the internal journey of self discovery. The first step in planning was to clearly identify and share the collective goals of the firm and use these as a backdrop to create target client personas for whom a lifetime journey underpinned by appropriate legal services, was plotted. 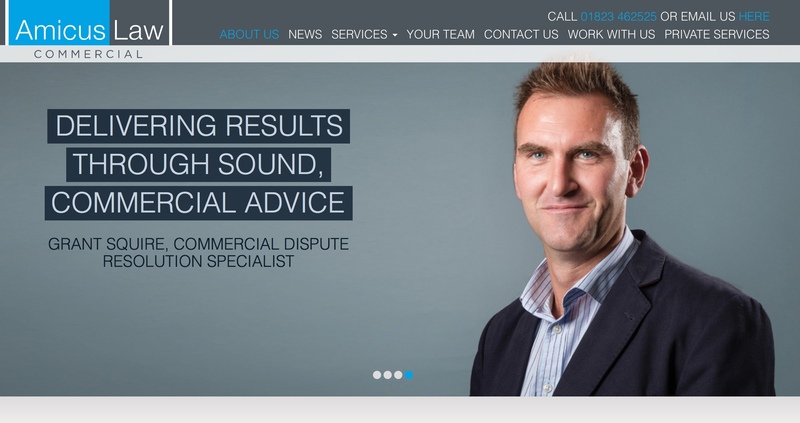 Whilst competitor law firms continued to push their products and services, Amicus Law Commercial focused on the outcomes of clients keeping their lawyer close to them. The concept of Wealth Protection, in all its forms, emerged as a key proposition, both relevant to the services of the firm, as well as the need for the progressive business person, one of a number of key personas being targeted. 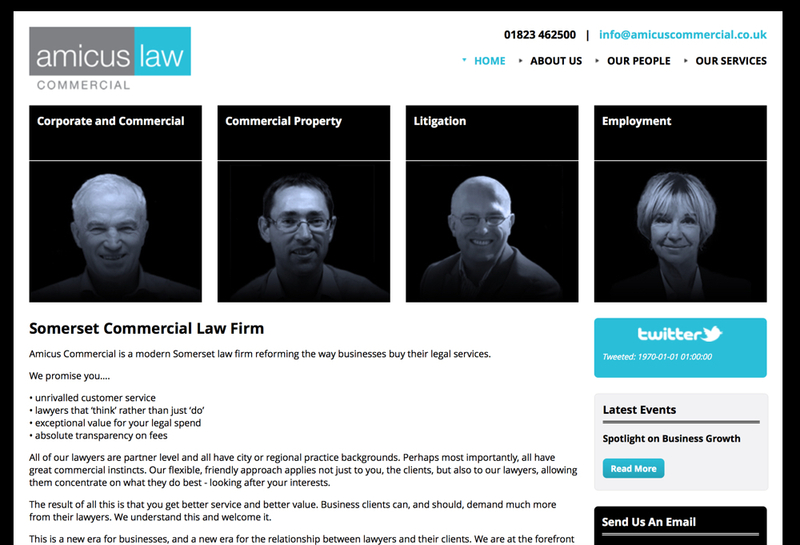 Moving from a ‘we can provide you with this service and that service’ to a more partnership-based ‘we are by your side’ and ‘keep us as close as your management team’ positioning, it became quickly apparent that the lawyers themselves we as significant a part of the marketing communications as the firm’s brand itself. With this in mind all marketing materials, both digital and printed, were refocused to highlight the individual specialist lawyers, their skills and unique attributes. Ironically as a service business, it became less about the service and more about the people and the outcomes they could facilitate. All marketing communications and campaigns now focus on the people-centric messages, delivered for example, through a new website that dynamically creates and presents relevant content to the visitor based on their search terms and location, rather than a single version of a generic site, where one-size-fits-all. Campaigns and communications focusing on wealth protection, dispute resolution and using legal services as a strategic management tool for business people, have created a number of high value, previously unseen new client opportunities that can be directly owned by the lawyers who’s profiles attracted those clients. Sustainable, strategic planning is at the heart of the growth and a new focus not simply on revenue generation, but on the identification of ‘profit centres’ across the firm, will allow for continued expansion in the right areas, locations and specialisms, through prioritising and devoting resources to where the best value is originating. For more details about how to work with us to create sustainable profit centres in your law firm please get in touch for an initial, informal, exploratory conversation.